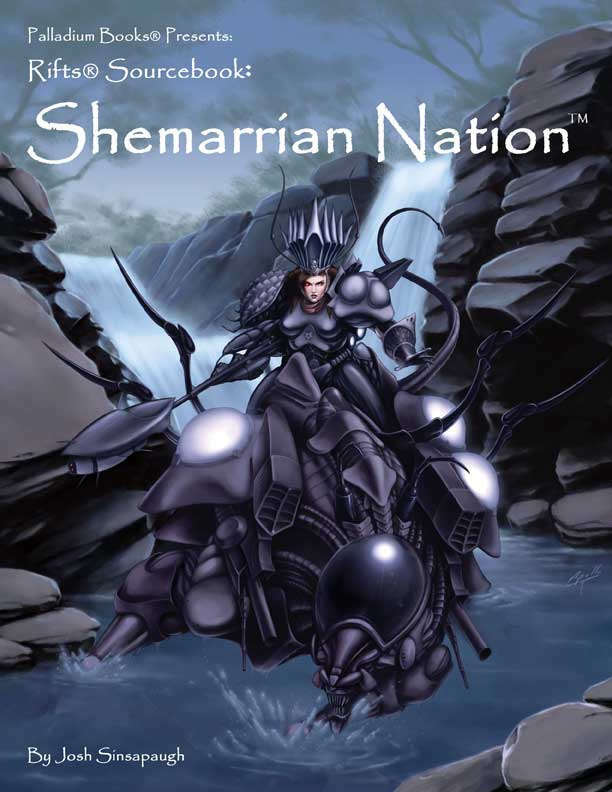 Shemarrian warrior women are known throughout North America as some of the deadliest fighters on the continent – eight foot tall aliens from another dimension who include advanced weaponry, bionics, and monstrous war steeds in their arsenal. Are they heroes or barbarous conquerors? The fact is, most people know very little about them, and what is known is steeped in legend and mystery. This book contains an in-depth look at the Amazonian warriors, their society, schemes and purpose. 7 Shemarrians, including the Warrior, War Chief, War Goddess, Berserker, Pariah, Spinster, and the Male Hunter. New Shemarrian war mounts, pets and weapons. Androids and robot minions of A.R.C.H.I.E. Three. The secret war on the Splugorth and plenty of adventure ideas. Random encounter tables, typical Shemarrian squads, and more. 96 pages – written by Josh Sinsapaugh, Kevin Siembieda and Jason Marker.